THE READERS RAG: WHEN GREAT TALENT EXCUSES ANY CRIME: "YOU WILL KNOW ME" BY MEGAN ABBOTT! 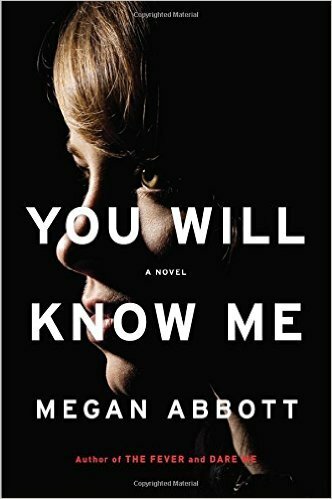 WHEN GREAT TALENT EXCUSES ANY CRIME: "YOU WILL KNOW ME" BY MEGAN ABBOTT! I was interested in the thriller "You Will Know Me" because I had read and enjoyed both "The Fever" and "Dare Me", two other books written by Megan Abbott. These are all books that are incredibly absorbing and very hard to put down, even when you don't enjoy the characters or find the content as disturbing or as creepy as it is. You just have to find out what happens in the end. Megan Abbott is a real stand out as an author and I have a great deal of respect for her literary achievement. She doesn't just churn books out; they are each genuine works of art. Emerging from the mystery noir tradition of Raymond Chandler and James M. Cain, and later on mentored by Little, Brown & Co. Editor Reagan Arthur, Megan Abbott has become the master of the psychological thriller rooted in the minds and hearts of young teenage girls, their parents and siblings. For a little background on Ms. Abbott, here is a snippet of information from her website, "Born in the Detroit area, she graduated from the University of Michigan and received her Ph.D. in English and American literature from New York University. She has taught at NYU, the State University of New York and the New School University. In 2013-14, she served as the John Grisham Writer in Residence at Ole Miss." Further, she won the Edgar award for an earlier book entitled "Queenpin" which I have not yet had the pleasure of reading. Megan Abbott has also written an impressive number of articles for "The New York Times", "Salon", "The Los Angeles Review of Books", "The Wall Street Journal", "The Los Angeles Times Magazine", "The Guardian", "The Believer" as well as many other newspapers and magazines. She currently lives in New York City. Megan Abbott is represented by literary agent Dan Conaway of Writers House who has worked with an impressive group of authors. As far back as 2008, blogger Susan Henderson described him as follows, "Dan Conaway has been Executive Editor at Putnam, Executive Editor at HarperCollins, Director of Literary Acquisitions at PolyGram Films, Story Editor at Citadel/HBO, Creative Executive at Tribeca Films, and Associate Editor at W.W. Norton. While at HarperCollins, he gained a big following as the anonymous blogger, known as Mad Max Perkins, of BookAngst 101. Now he’s an agent at Writers House, an agency that represents such authors as Stephenie Meyer, Neil Gaiman, Ken Follett, Nora Roberts, Stephen Hawking, Barry Eisler, Ridley Pearson, Christopher Paolini, M.J. Rose, Dav Pilkey (Captain Underpants! ), and Jim Sheeler (2008 National Book Award nominee)." On August 4, 2016, Megan Abbot wrote an article for The Catapult entitled "The Conjuring" where she talked about the seminal event that transformed her from being a timid individual standing in the sidelines into the confident writer she is today. Apparently, during her freshman year of College, she had to write an essay on Lady McBeth. For a long time, she struggled with writing the essay, finding it hard to put her thoughts down on the page. Finally, after a long talk with her father, she realized that what really attracted her to the play was Shakespeare's Lady McBeth, particularly her "unsex me" speach "because it seemed so badass, so Sylvia Plath, so riot grrrl." This theme has stuck with Megan Abbott throughout her writing career. Thus, the young girls in Ms. Abbott's books also seem really badass, ready and prepared to break through and seize control of their lives with a sense of agency and power not ordinarily attributed in literature to young women. Not only did Megan Abbott recognize the themes that would dominate her work in the character of Lady McBeth, through writing the essay she also arrived at a recognition of writing as a kind of craftsmanship that she herself was capable of mastering. As she put it, "I saw writing was not a remote magic but something one created—built." It was that understanding which marked the beginning of Ms. Abbott's writing career, the point at which she began to identify herself as a writer. As an aside, taking a look at the cover for "You Will Know Me" I can't say that I am immensely impressed. In contrast, I particularly liked the cover for the book "Dare Me" which was innovative and challenging. The cover to this book seems fairly derivative. If I see one more black book cover, I'm going to scream and the large print bores me incredibly. I think much more could have been done here to visually challenge and attract potential readers. I hope the cover designer Julianna Lee takes note of this, although I'm sure she wasn't the only one involved in the decision making. So what is this book all about? This book is about a 15 year old girl, Devon Knox, a gymnastic prodigy who has the potential for ending up competing in the Olympics. She is on the verge of passing the next hurdle to Olympic gold, the Senior Elite Qualifiers, when a handsome young man named Ryan who works at her gym turns up dead dead after a hit and run accident. Could it be Devon's parents who view Ryan as an obstacle to Devon's Olympic dreams and who are deeply in debt and stand to lose everything if she fails? Could it be Ryan's girlfriend, Hailey, in a fit of jealous rage because he appeared to be shifting his attentions to Devon? Could it be any one of the parents whose lives revolve around the Gymnastics team and around Devon to whom they have attached all their hopes? The bottom line is that it could be anyone. But for the reader to find out, he or she must read the book to its dramatic conclusion. True to its title, the book revolves around the question of who do you know, and how much do you know, about the people you spend your time with in your own family and in your community? To what extent can any of us know what goes on in the dark heart of a single individual? As the narrator of the tale, Devon's mother Katie, investigates what went on at the time of the murder; she sifts through layer after layer of stories, memories, and perception in order to arrive at the truth. But by the time she discovers what happened, it may be too late to do anything about it. 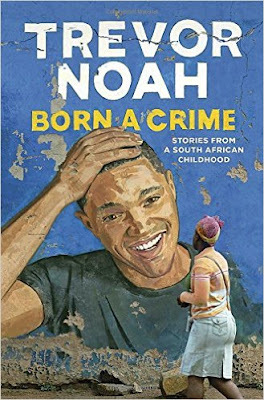 This book was particularly meaningful for me because I have an older brother whom my parents considered to be somewhat of a prodigy. They also appeared to need him to be a prodigy in order to lend meaning to their lives, I suppose. As a result, I grew up with my parents' assumption that whatever it was that was necessary to do in order to further my brother's achievement was perfectly acceptable, even if it was wrong or immoral, even if it meant that in their eyes, he could do no wrong, but his actions were incredibly damaging to other members of the family. The harm that this atittude did to me, let alone my entire family, was incalculable. No matter how talented a young child is, very few actually achieve the pinnacle of success that so many parents of gifted children envision. Even if their kids do achieve great fame, does it make all of the parents' sufferings and sacrifices worthwhile? Does it compensate the brothers and sisters with lesser lights, or perhaps even greater urecognized lights, who end up being grossly ignored, if not abandoned? Does it make up for the extraordinary amount of social ostracism and isolation these uniquely talented children experience? Not necessarily. What happens when there is one member of the family who can do no wrong no matter what the circumstances? These are the kinds of issues Megan Abbott explores in this outstanding book about females coming of age, females stepping into roles of self assertion and power, and expressing them through their physical athleticism and intellectual prowess.